According to the account in book two of Virgil's Aeneid, the Greeks built a large horse out of wood and covered with fur that contained soldiers who were now free to pop open a hidden door and invade the city of Troy -- why this is called a Trojan Horse instead of a Greek Horse is beyond my understanding -- but the Japanese built a Trojan car of their own in the late 80s/early 90s. It was called the Sera and it totally blends into the automotive econo-bland-space until you pop open those gull wing doors and reveal its true nature. 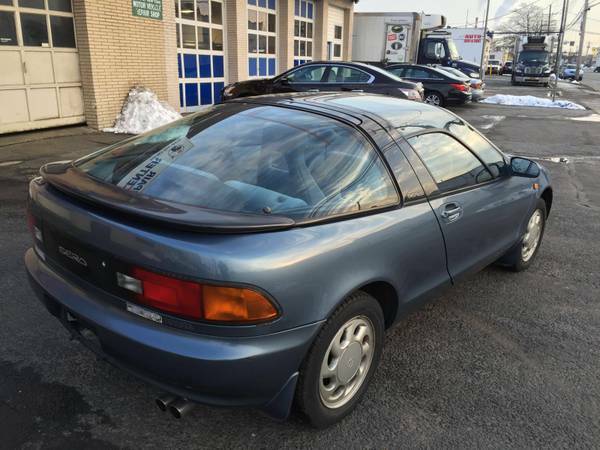 Find this 1990 Toyota Sera offered for $6,900 in Oceanside, NY via craigslist. Tip from FuelTruck. 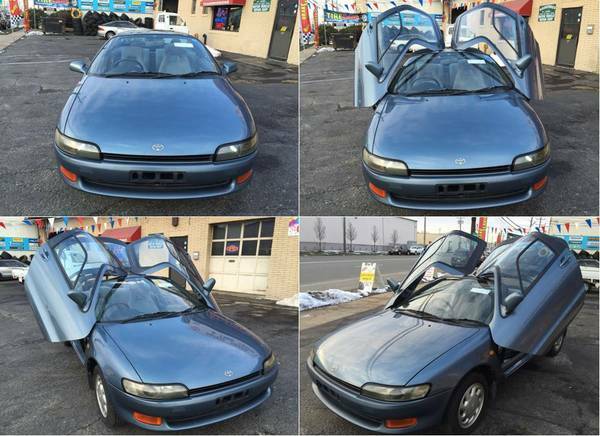 The Toyota Sera was a Japanese domestic market (that's JDM for those in the "know") only 2+2 built on the compact Paseo platform from 1990-1996, which would be an otherwise completely forgettable front-drive penalty box except for its gullwing doors and other side of the sea exclusivity. The Sera is powered by a 1.5 liter inline four, the 5E-FHE, good for around 100 horsepower and 90ish ft-lbs of torque. In this car it is mated to a four speed auto, but it was also available with a 5-speed fun box. 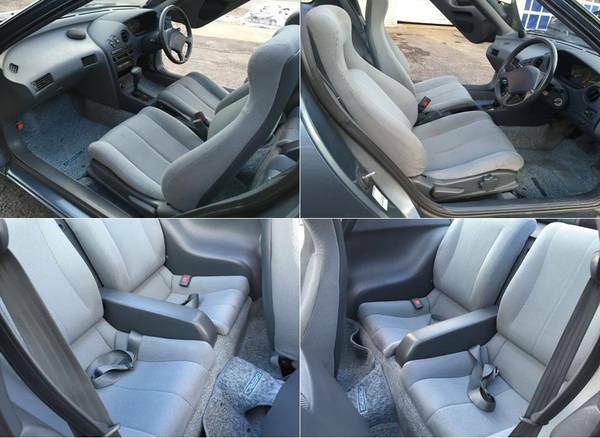 With ample seating for four (smallish) people, the Sera should make for a decent commuter/weekender...but the question remains: Does the cool factor outweigh the trickiness of getting food at a drive-thru or paying at a toll booth will be tricky without a passenger? 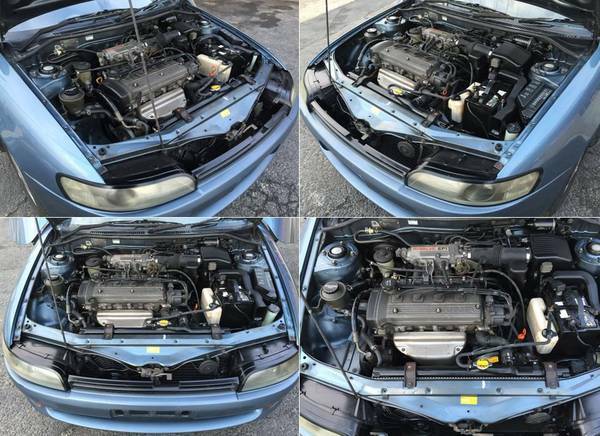 '90 Toyota Tercel: Carquest by BWD Ignition Coil for $46.99 via AdvanceAutoParts. '90 Toyota Tercel: Carquest Wearever Brake Rotor -Front for $21.99 via AdvanceAutoParts. What is the Japanese phrase for "Peasant Under Glass?" If your aren't borderline sun stroked, you'd be worried about the bowl of tapioca torsional rigidity. If those two points are not an issue, you live in Northern,VT and drive only on roads without frost heaves and also with tarmac, I guess it is interesting. Gullwing doors have all of the hinge action in the roof. Pretty sure the Sera has dihedral doors. If you're really desperate or bored you could pull a 4E-FTE out of a Toyota Starlet GT Turbo for an extra 25hp and a turbo. At that point you might have a slightly better chance of not getting killed in modern 280 hp traffic. That said I would still love to drive one of these. I feel like the Mazda AZ-1 would be more fun though.